Dermal fillers are used to fill skin wrinkles, skin depressions, enhance tissue volume, or to plump up lips. Some dermal fillers are better adapted for use in particular locations and they have different durations. With the aging process, the face loses volume in a number of places, often leading to an older, more tired looking face. Non-surgical facial fillers (also called cosmetic dermal fillers) are used to smooth away lines and wrinkles, restore fullness to the lips, enhance the eyes and cheeks, and replace the natural looking volume to the face that has been lost over the years. In order to effectively address your specific needs, Dr. John Vartanian will choose from a variety of facial filler options, including Restylane®, Perlane, JUVÉDERM®, Radiesse®, Sculptra® Aesthetic, Boletero®, and Collagen. Each filler is designed to yield optimal results for particular areas of the face. During a pre-treatment consultation, Dr. Vartanian will help you decide which one can be used most effectively for your cosmetic goals. Dr. Vartanian’s injection treatment routine involves numerous steps to minimize discomfort and maximize results. Dr. Vartanian has a specially formulated topical numbing cream that is remarkable in its ability to anesthetize (numb) the skin prior to injections. Additionally, right before treatment, the skin is cleansed with alcohol and then cooling ice is applied to the injection site to further numb the area. In our practice, the typical patient experiences a rather painless and relaxed treatment process, with little to no bruising. Facial fillers are best known for their ability to correct nasolabial folds and add volume and form to the lips. In addition to these more common uses, Dr. Vartanian also utilizes facial fillers in many innovative ways to enhance the face, reverse aging signs, and produce natural looking results. Dr. Vartanian was one of the first doctors to use Restylane® to fill undereye areas. 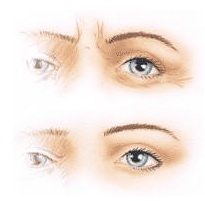 Undereye hollowness, grooves, and shadowing can make the eyes look tired, aged, and unattractive. Using dermal fillers like Restylane®, Dr. Vartanian can carefully fill the undereye areas of hollowness, hence providing a more rested look without surgery. In some patients (even very young ones), under eye hollow areas are a familial trait (unrelated to age) that can also be enhanced quite easily. The technique used by Dr. Vartanian involves a 10 minute procedure where fillers are placed under the eye and upper cheek to create revitalized, beautiful, and natural result. The estimated bruising rate for this procedure is 5% for a minor bruise and 1% for a major bruise. It is recommended that injections are performed at least a week prior to an important event to account for possible swelling or bruising. Dr. Vartanian has performed over 1000 undereye injections with optimal safety and with no adverse effects. Should a minor correction be needed, another medicine (hyaluronidase) can be used to erase or reverse the effects in the injected areas. In addition to the undereye areas, the upper cheek and the entire face can be rejuvenated by adding volume to face. Sometimes called the liquid facelift, careful use of fillers can produce a dramatic yet natural facial rejuvenation with almost no downtime and no surgery. Many times a combination of minor procedures (like BOTOX® Cosmetic, laser skin resurfacing, and fillers) can be combined to produce a great result. Facial filler treatments are minimally-invasive and can be performed right here in Dr. Vartanian’s office. Unlike surgical rejuvenation techniques, little to no downtime is required following the procedure and results can often be seen immediately. The injections can generally be administered in about 30 minutes, and the target areas can be numbed with a local anesthetic to minimize discomfort. Depending on the particular filler, results can last anywhere from a few months to a year, if not longer. In many instances, dermal fillers can also be combined with BOTOX® Cosmetic to achieve even greater results. The Restylane® family of products includes Restylane®, Restylane-L®, Perlane®, and Perlane-L®. These products can be used to add volume and fullness to the skin to correct moderate to severe facial wrinkles and folds, such as the lines from your nose to the corners of your mouth (nasolabial folds). They are made from hyaluronic acid, a naturally-occurring compound found in your body, that likes to hold water, plump skin, and fill lines. Perlane® is better suited for deeper placement in the skin and deeper volumizing. The Restylane-L® and Perlane-L® formulations also contain lidocaine, a numbing medicine that helps in further reducing treatment area discomfort. Dr. Vartanian uses Restylane-L® as a cost-effective treatment, to fill wrinkles and facial lines surrounding your mouth, hollow areas under the eyes, and other areas of your face. Additionally, Restylane® can be used to add volume to your lips while improving their definition. Restylane® and Perlane® don’t require any skin testing, and results typically last about nine months or longer. Dr. Vartanian was a co-investigator in the FDA studies leading to the approval of Perlane® for cosmetic use. Restylane Silk is a hyaluronic-acid based injectable (from the makers for Restylane® and Perlane), which has a thinner consistency to allow for the correction of fines lines and superficial lines previously less amenable to correction with other fillers. Restylane® Silk is FDA approved for plumping lips and for filling wrinkles around the mouth, also known as smoker’s lines or perioral lines. As a member of the Restylane® family it enjoys a very long history of safe use all over the world. Restylane® Silk has added lidocaine (a numbing medicine) to make the injection experience more comfortable for the patient. Restylane® Silk is composed of hyaluronic acid, a natural protein that occurs in the body. On average, the body’s and skin’s supply of hyaluronic acid diminishes with age. As such, replacing it helps fill fine lines, plump lips, and give skin or lips a more youthful appearance. In multiple studies Restylane® Silk has been shown to last for at least six months when injected into the lips and around the mouth and demonstrate a very high aesthetic satisfaction rate in patient studies, though individual experience may vary. Treatment time in the office is about 15-20 minutes. Since Restylane® Silk is a non-animal based filler, allergy testing typically is not necessary. As with any type of skin injection, risks may include temporary lip swelling, bruising, and temporary pain. The best way to minimize these risks is to avoid aspirin, non-steroidal anti-inflammatory medications (such as ibuprofen, Motrin, Advil, Excedrin), St. John’s Wort, and high doses of Vitamin E before any type of injections, as these may increase the chances of bruising. Dr. Vartanian uses his micro needle injection technique to obtain natural and effective correction of fine lines, smoker’s lines, and other lip enhancement goals. During the injection he will place a high potency numbing cream on the area to be treated for 15 minutes, then ice the region thoroughly to numb the lip prior to the injection. For most patients, the injection process is quite uneventful. Dental blocks to completely numb the lips can also be performed if desired. Dr. Vartanian combines his artistic sense, years of experience, and careful micro needle injection technique to inject with the least amount of discomfort possible, as well as deliver the most natural and beautiful results possible. During your consult with Dr. Vartanian, he can determine if you are a good candidate for Restylane® Silk treatments. The JUVÉDERM® family of fillers come in two basic formulations JUVÉDERM® Ultra and Ultra Plus. Each formulation also comes in a form that has lidocaine (numbing medicine) in it, which is called JUVÉDERM® XC. Dr. Vartanian prefers the XC formulation to minimize treatment discomfort. JUVÉDERM® injectable gel (including JUVÉDERM® Ultra, JUVÉDERM® Ultra Plus, JUVÉDERM® Ultra XC, and JUVÉDERM® Ultra Plus XC) is indicated for correction of moderate to severe facial wrinkles, folds, and for facial volume enhancement. No allergy testing is necessary, and results from JUVÉDERM® generally appear quickly and can last about nine to 12 months depending on the formulation used. The JUVÉDERM® procedure typically takes about 15 or less minutes depending on the number of areas treated. Dr. Vartanian was a co-investigator in the FDA studies leading to the approval of JUVÉDERM® for cosmetic use. Belotero® Balance is a dermal filler made of hyaluronic acid or HA. HA naturally exists as a component of your skin. By binding to water, it fills in wrinkles and folds, typically allowing immediate and smooth correction. Belotero® Balance is used in similar ways to Restylane®, and its formulation makes it suited for more superficial placement in the skin to reduce fine lines. As such, it works well for superficial lines around the eyes, lips, forehead, and between the brows. Belotero® Balance does not require allergy testing. Belotero® Balance has been used by Dr. Vartanian with high patient satisfaction rates. Radiesse® is comprised of a combination of natural minerals (Calcium Hydroxylapatite) found in the body and is often effective at correcting deep wrinkles and depressions. Once injected, Radiesse® not only fills the wrinkle, but also actively promotes the growth of collagen, resulting in rejuvenation of your skin and skin density. The treatment takes less than ten minutes and results can last for up to 18 months. Dr. Vartanian adds lidocaine and epinephrine to the Radiesse® mixture to provide numbing and to reduce possible bruising. Radiesse® can be combined with other treatments. Made of poly-L-lactic acid, Sculptra® Aesthetic promotes collagen growth and is effective at filling depressions in your cheeks, temples, and other prominent areas of your face. Due to its naturally-occurring chemical makeup, Sculptra® Aesthetic does not require any skin testing. Results should continue to improve over time and can last a year or more. Multiple treatments are generally recommended for best results. Collagen injections are effective at treating indentations, lines, and wrinkles around your eyes and mouth. Collagen is naturally-occurring in your body and actively works to support tissues and provide elasticity to your skin. Results from collagen injections generally last two to four months, and can be maintained with follow-up treatment. Dr. Vartanian has mostly phased out collagen injections in favor of newer longer lasting fillers. As with any procedure, recovery times will vary from person to person as well as where on the face the injections are performed. You can generally expect minor redness, swelling, or bruising immediately following your treatment; however, these symptoms should subside relatively quickly. You will most likely be able to return to your normal daily routine after your procedure. Once the effects of treatment begin to fade, you can typically maintain the initial results with occasional “touch-up” treatments. We recommend a follow-up visit 7-14 days after the injections to evaluate the results and the need for additional treatments. Which dermal filler is right for me? Dr. Vartanian will help you determine the best filler to achieve your goals during the pre-treatment consultation. How long will results last? Results will vary depending on the dermal filler used. How often will I need to receive treatment? Dr. Vartanian will help you determine how often you should return for treatments based on your specific goals and the type of facial filler used. To learn more about facial fillers, or to find out which dermal filler can help you effectively achieve your cosmetic goals, please contact Dr. Vartanian today. We will be happy to answer any of your questions and help you schedule an appointment to see Dr. Vartanian at your earliest convenience.